Following their first presidential debate, Hillary Clinton now has a slight edge over Donald Trump, according to a new national poll. In a four-way matchup, according to a Fox News poll released Friday evening, Clinton has a three-point lead over Trump, 43 - 40 percent among likely voters. The two were virtually tied in the last Fox poll, when Clinton had 41 percent support, compared to Trump. Libertarian Gary Johnson netted eight percent support in the poll, and Jill Stein gets four percent. 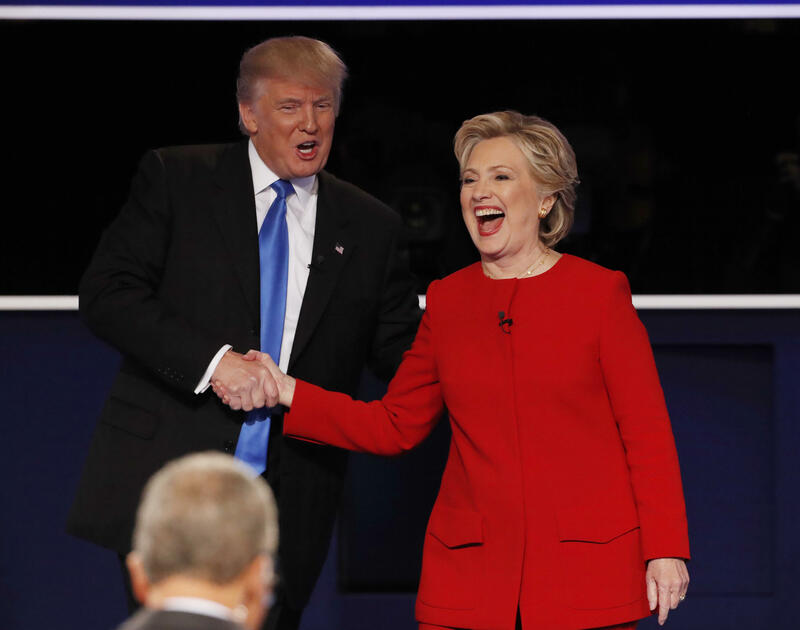 The poll found that more voters think Clinton is honest than Trump -- and a majority say they wouldn’t be comfortable with him as president and think he lacks the right temperament for the Oval Office. On honesty, Trump has taken a hit in this poll -- his support on this characteristic is now 31 percent, a drop of 8 points in the last two weeks. Clinton remained basically the same, 35 percent, compared to 34 percent. Trump still has a commanding lead among men, 49 percent to 32 percent, while women strongly prefer Clinton to Trump, 53 percent to 33 percent. Among non-white voters, Clinton leads 78 percent to 12 percent, increasing her dominance by 15 percentage points, compared to two weeks ago. Her margins have also increased among women (up 20 points) and voters under 45 (by 8 points). Independents, however, prefer Clinton 41 to 29 percent, with 21 percent choosing Johnson. Fear is the greatest motivator for voters -- 57 percent say that their fear that the other candidate will win is the reason for their choice. Only 39 percent are enthusiastic about their candidate.